You know how much I love Arm Candy, well here is what I am sporting today. I believe if you mix old and new, you will always have a truly unique result. 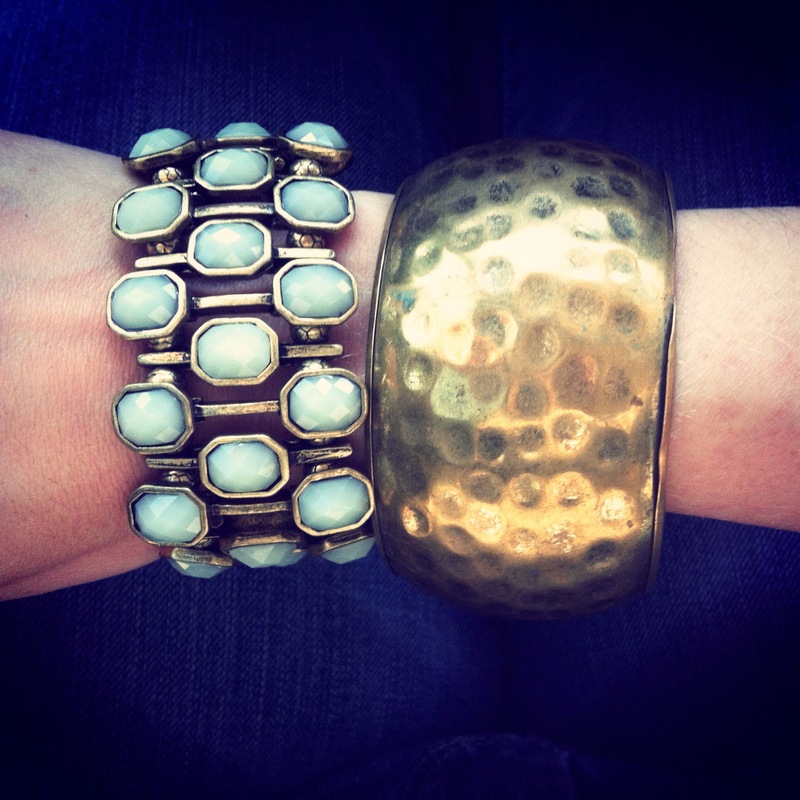 So here is my OLD brass cuff ($4 at an antique store in my hometown of Beaufort, SC) with my NEW mint and brass bracelet (from Jcrew Outlet). Mixing old and new is a must for your home too. My general rule of thumb, is at least one antique or vintage piece per room. This entry was posted in Uncategorized and tagged Antique, bracelets, fashion, gold, What I wish I was Wearing. Bookmark the permalink.